The unprecedented earthquake of 26th January 2001 left Bhuj absolutely shattered, the worst ever disaster, in last 50 years. Almost the entire state reeled under its catastrophic impact. About 13,800 people died and 1,67,000 suffered injury. Nearly 1.2 million houses were damaged. All the civic facilities like – schools, hospitals, health centers and public buildings – suffered massive destruction. The utility infrastructures, which included water supply, electricity and telecommunications, were also completely disrupted. The massive damage put the government to pose an enormous challenge to evolve and execute a comprehensive rehabilitation and reconstruction programme. The four towns of Kachchh-Bhuj, Bhachau, Anjar and Rapar- needed much attention as they suffered very large-scale devastation. 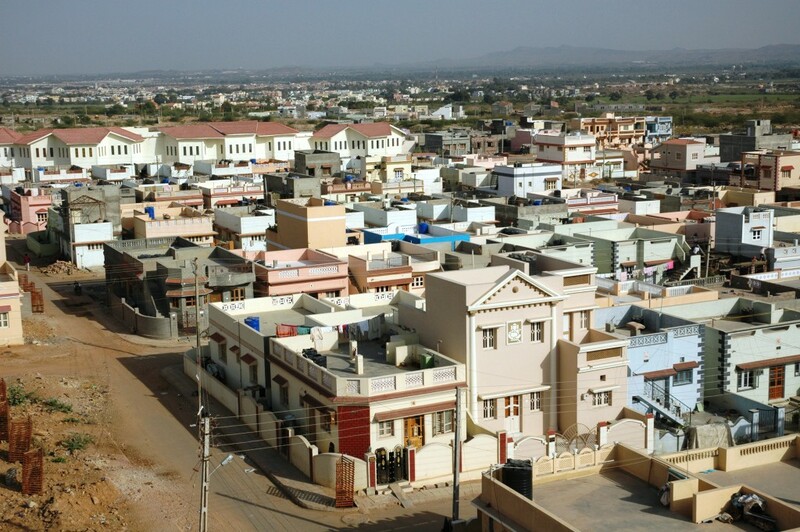 In Bhuj city itself, 2370 people died, 3187 suffered massive injuries, 11036 houses were fully collapsed and 27617 houses were partially collapsed. The reasons of large number of casualties were attributed to collapse of large number of multistoried buildings due to design failure, haphazard, narrow lanes which gave very little space or no space to the congested city to escape at the time of disaster. The nature and extent of the damage in these four towns needed a special package, addressing various issues like relocation, In situ construction, Town Planning and infrastructure.